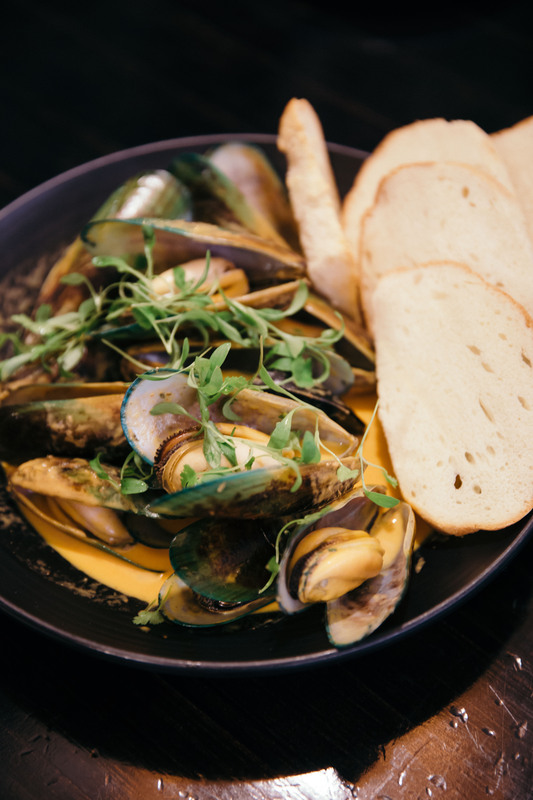 When it comes to Kiwi cooking, you can be sure what’s on your plate is a product of pristine fresh produce, vibrant colours and flavours, cosmopolitan influences and a buoyant spirit! I had the opportunity to taste some lovely fresh mussels cooked in spicy tomato cream sauce and mussel pastrami chowder at Al Brown’s Federal Delicatessen. The seafood chowder topped with bonito flakes at The Occidental Belgian Beer Café was another personal favourite that brought a typical chowder that we are all so familiar with to new heights! This dish reminded me so fondly of my travels in Japan in 2015 and 2016. The glorious seafood and fresh produce! This is exactly what I have done for this SouperChef Special! 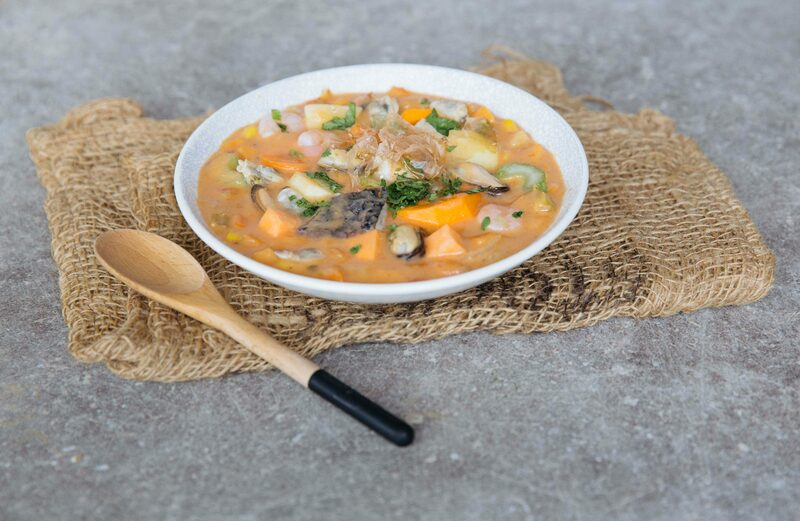 We have added miso, a traditional Japanese ingredient and seasoning to a tomato-based seafood chowder, creating a unique soup inspired by all these food reference points. 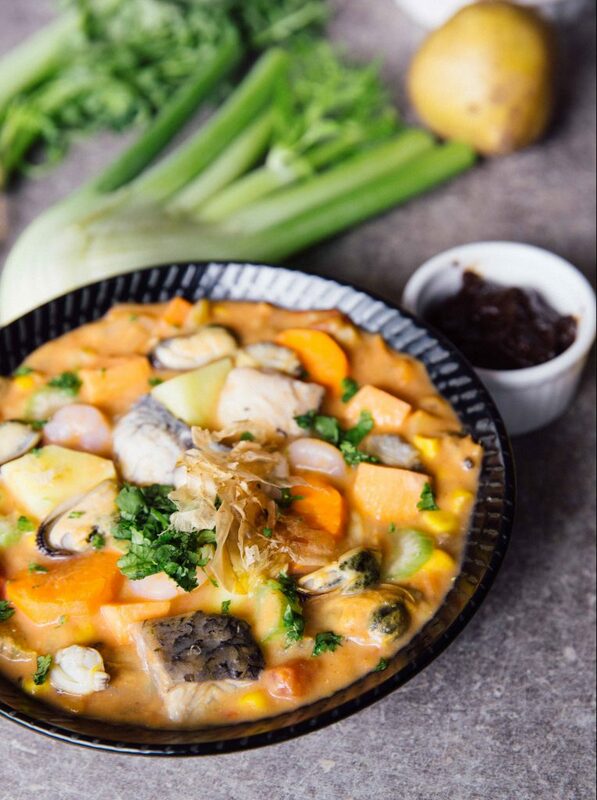 In our kitchen, it began with a whole array of seafood items which are then coaxed with the help of aromatics, wine, fresh herbs, tomatoes and miso into a thick and flavourful stew with a stunning red hue!